A hospital in the rural Pacific Northwest held an event to thank individuals who had made a planned gift commitment as well as to express appreciation to those seriously considering such support. The event involved a tour of the facilities, including the pediatric services wing, followed by lunch. During the lunch, an elderly gentleman stood up [without being prompted] and said that he was very impressed. He was familiar with the hospital, the only one in town. But, neither he nor his wife were familiar with the pediatric services wing. The gentleman told those gathered that he and his wife have no children themselves. However, during the tour of the pediatric services wing, they realized that the community’s children were their children. 1. Send your prospect or donor a thank-you note for having taken the time to meet with you. A handwritten note is your highest-impact option. 2. Keep your promises. If you promised to send the prospect or donor more information, do so immediately. If you promised to follow-up with a phone call in three weeks, do so. 3. Jot down notes. While you might want to ask permission to take notes during the meeting, you should know that note taking makes some people more guarded. So, if possible, resist the temptation to take notes during the meeting. However, immediately following the meeting, pull your car off the road and jot down key points from the meeting. 4. Make sure to place your notes in the individual’s file. Your notes will be helpful to you, and they will be a help to any of your colleagues who may need to contact the individual in the future. 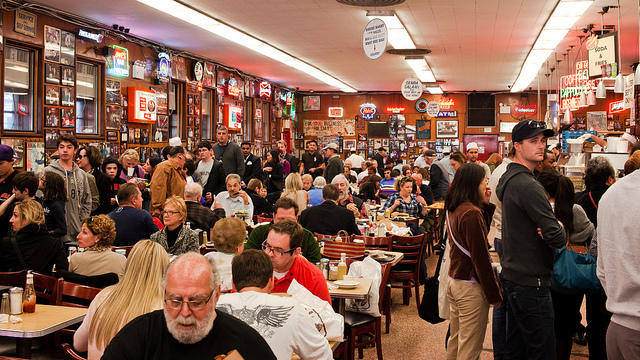 Where is your favorite or least favorite place to meet prospects or donors? My father NEVER met with clients in their homes or restaurants. Always came to our site – – you can make it comfortable and still be in control of the environment. It inspires more confidence, and we almost always gained / retained a client (financial planning / estate planning firm). Laura, thank you for providing your own insight and for sharing my post with your readers. Meeting with prospects and clients in one’s own office can be effective and inspire confidence. The key is to determine, for each individual prospect or donor, the best place to meet that will be comfortable for them, convenient for them, inspire them, and allow them to be most receptive to the message. Of course, all of that needs to be considered in the context of the objective of the meeting. I would wholeheartedly agree that whenever possible, the donor’s home or the site of your nonprofit are strong choices for meetings. However, I have found that in almost 15 years of major gift fundraising that it can be very difficult during an initial meeting to get an invitation to a donor’s home. Restaurants or coffee shops seem to be neutral enough territory to establish the rapport necessary AND provide an opportunity for a follow up meeting on site at the nonprofit location for further cultivation. Laura, thank you for sharing your insights. You’ve made two important points. 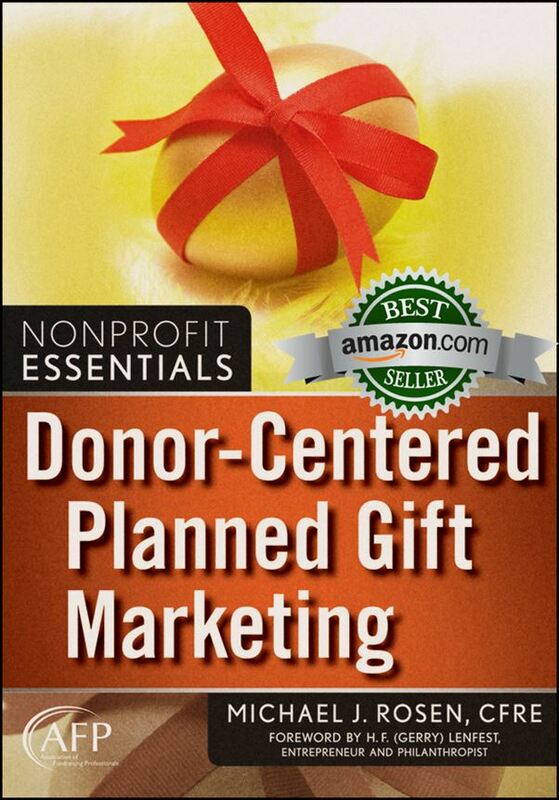 First, different donors will have different preferences about where they want to meet. Second, as the relationship develops, donor meeting preferences may very well change. The key is to determine what will make the donor most comfortable while still allowing you to achieve your objective. I should also mention, to all my readers, that there are other factors that will influence meeting location. For example, an older woman might not feel comfortable meeting with an unknown man in her home. However, she might be perfectly fine meeting a fellow woman in her house. Another factor is geography. For example, I know a successful hospital development professional who just drops-in on donors at their homes; he doesn’t even call first. While that approach would not work in many places, it does in his small town in Texas. Again, it’s all about what works for the prospect or donor. Good insights, Michael. I made a habit of sending a post card locally just after the visit since there could be a delay in my return to the office for follow up. Sometimes I would even call my work vm and leave myself a detailed message after the meeting. I would leave them with an expectation of follow up such as a week to ten days depending on my travel schedule. Patrick, thank you for sharing some good tips. I also want to take this opportunity to congratulate you on your new position. I wish you the best! Thanks, Michael. At the moment “our site” is literally a building site. Taking people there can be fantastic – they get to see what’s happening, but there’s not a space to sit or even hold a conversation (loads of noise!). My office has been relocated to an open plan space in the local government office – that’s a definite no for me! How would you work around that? (I’m planning mixing site visits with meetings at their home or some of the quieter coffee shops I know. but that means TWO meetings. Michael, thank you for sharing your challenging situation. Even given the difficulties, I still like the idea of showing folks the building site. If there’s a friendly business very nearby, you might be able to borrow a meeting room following the site visit. Or, plan ahead to have one meeting in two locations. Good luck! Michael, I enjoyed your article and thank you for sharing. I have found over my years that meeting the donor in their home, if possible, has been the most insightful and productive, especially with older donors. I have found them to be more comfortable and open. My first choice is to encourage the donor to visit the NPO, but when that doesn’t work,it’s the home visit, hands down. Stay away from crowded noisy meeting areas, for me, they have been the least productive donor engagement settings! I like total focus with the donor, not the background distractions! Gary, thank you for sharing your insights. Depending on the relationship, geography, and the objective of the meeting, breaking bread with a prospect or donor might be appropriate and worthwhile, on occasion. When selecting a café or restaurant, it’s essential to choose one that will appeal to the donor and that will offer minimal distractions and reasonable privacy. However, while I would never automatically rule out a meal-meeting, my preferences are in alignment with yours. This is so true! I am a philanthropist. An organization that I had been supporting for years but hadn’t been able to visit for a while offered to fly down to Georgia and meet with me. I was appalled by them spending my donation so cavalierly. I haven’t given to them since then. Allegra, thank you for sharing your story. 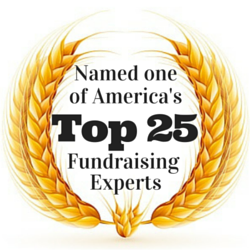 Fundraising professionals often face difficult choices as your story demonstrates. Fundraisers frequently have to strike a balance between making donors feel ignored and making them feel they are receiving inappropriate or wasteful attention. The more effectively the fundraiser builds a relationship with the donor, the more likely they will be to focus the appropriate attention on the donor.